The Uptech CDS 5500 Serial Robot Servo (Robotis Compatible) has been launched with the aim to solve most important problems caused by R/C servos in robot and simultaneously inheriting most of the advantages of them. Because of the advanced position sensor and precise A/D converter gives the high position accuracy, the position resolution in position-mode can be up to 0.3°. 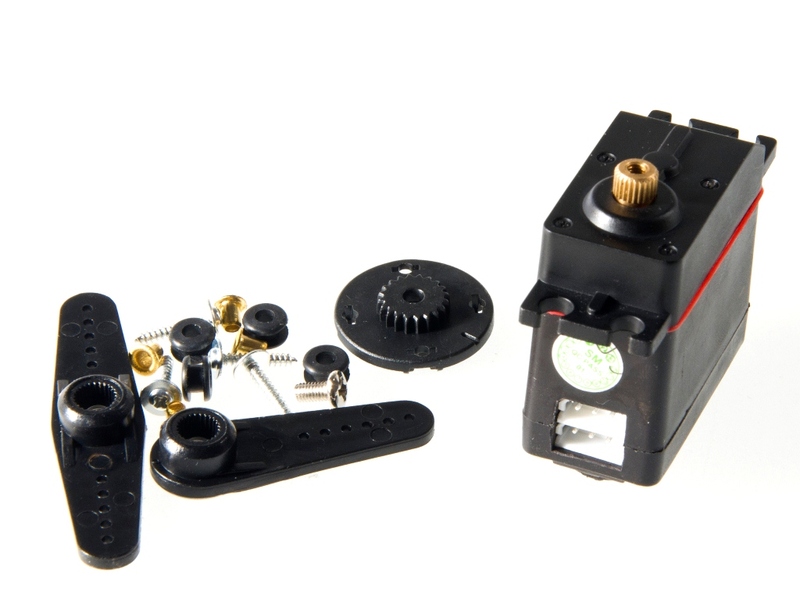 The response time is up to 2ms contrast a 20ms of traditional R/C servo. The CDS series robot servo can be linked by serial bus, which can connect up to 200+ servos. Each unit can feedback its position, rotation velocity, torque, current, motor temperature and so on. The robot built with robot servos can set actions through artificial demonstration, that is, the user can regulate the robot’s joints posture with hands and the robot can record the parameters like location, speed, etc. Then, it is able to automatically play them. So there is no need to set position, velocity parameters of each joint and observe whether the joints right in place or the parameters are appropriate. You just need play and record. You need a Ax-12 CDS55xx Driver Board to drive these servos. Please see AX12 CDS55xx Driver Board(SKU:DRI0016) wiki for a wiring diagram.